Tinea cruris, commonly referred to as jock itch, is a fungal skin infection that mainly affects the inner thighs, groin area, and the buttocks. It is caused by a group of fungi called dermatophytes that like to grow on skin that’s moist and warm and thrive in areas where skin comes into contact with other skin. Some symptoms of jock itch are red rashes on the affected area, burning sensation, itching and peeling of the skin. This infection is common among people who sweat a lot. It can affect both men and women, but men are more likely to get it. Also, overweight people and those with diseases like AIDS or diabetes are more prone to tinea cruris. Regularly wearing tight clothing and living in hot and humid climates are other factors that increase the chance of developing this infection. Excessive scratching can severely damage your skin, so you need to treat this problem as quickly as possible. Before running to the drug store for over-the-counter medicine, you can try some simple and inexpensive home remedies. 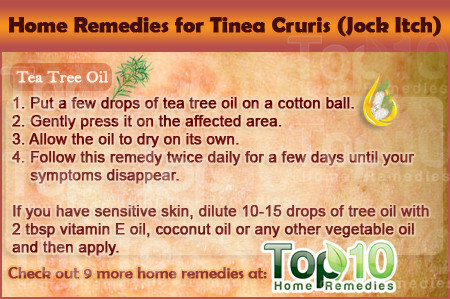 Here are the top 10 home remedies for tinea cruris. As tea tree oil has natural antifungal properties, it is often used to treat different fungal infections including tinea cruris. This stimulating oil with strong antibacterial properties can give instant relief from itching and inflammation when it’s applied to the infected area. Put a few drops of tea tree oil on a cotton ball. 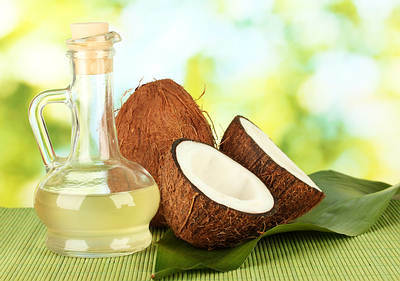 If you have sensitive skin, then use the oil after diluting it with coconut oil. You can dilute 10 to 15 drops with two tablespoons of base oil. Gently press it on the affected area. Allow the oil to dry on its own. Follow this remedy twice daily for a few days until your symptoms disappear. For effective results, you can also use soap or shower gel containing tea tree oil, or simply soak in bath water mixwed with a few drops of tea tree oil. Note: Before applying tea tree oil, it is advisable to test a drop of this essential oil on a patch of skin to determine sensitivity. Bathing with salt water is one of the simplest and cheapest ways to treat tinea cruris. 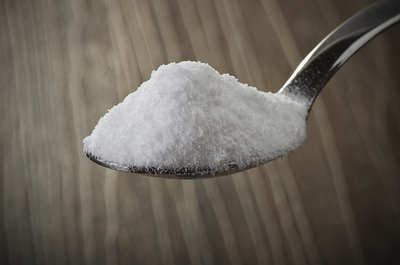 Salt will speed up the healing process as well as help control the growth of the fungus causing the infection. Add two cups of regular table salt to it and stir it in thoroughly. Soak in this warm solution for half an hour. Do this twice a day for at least one month for best results. The same process can be done with Epsom salt. Garlic is well known for its antifungal properties and can effectively treat tinea cruris. It will stop the fungus from spreading as well as give you instant relief from itching and inflammation. Put three to four fresh garlic cloves and one teaspoon of olive oil in a blender. Blend it until you have a smooth paste. Spread the paste on the affected skin. Follow this remedy two or three times daily until you get rid of the infection. Alternatively, mix five to six crushed garlic cloves and one teaspoon of honey. Apply the mixture on the infected area and allow it to dry on its own. Then wash the area with normal water. Do this twice daily to get positive results. Also, use fresh garlic when cooking or take a garlic supplement daily to speed up healing. Getting rid of tinea cruris is easy with apple cider vinegar. The acidic property of apple cider vinegar helps kill the fungus and stop the infection from spreading rapidly. Also, it helps draw out extra moisture from the infected area, which in turn speeds up the healing process. Make a solution of two cups of water and one-half cup of apple cider vinegar. Wash the affected area with antiseptic soap. Then soak a clean washcloth in the mixture and apply it to the affected skin. Allow it to dry on its own. Then clean the area with a wet cloth and pat it dry. Follow this remedy twice daily for several weeks. Fill a spray bottle with equal amounts of apple cider vinegar and water. Spray the solution liberally on the affected area. Allow the area to air dry. Repeat two times daily until you get the desired results. 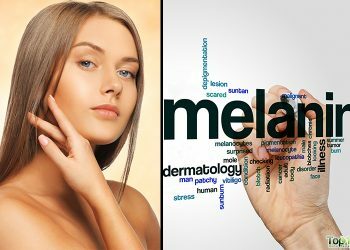 Indian Lilac, also known as neem, is used to treat many skin problems including tinea cruris. It has antifungal properties that help eliminate the fungus that causes tinea cruris. Plus, it has antiseptic and antimicrobial properties that help in the healing process. Grind equal amounts of neem leaves and turmeric root powder to form a paste. Apply the paste on the affected skin. Allow it to dry on its own. Finally rinse with lukewarm water and pat it dry. Follow this remedy once daily for several months to prevent the fungus from spreading. Apply pure neem oil directly on the affected area and massage gently until the oil penetrates deep into the skin. Wait a few minutes and then take a bath. Follow this process daily for a few months to help soothe itching and speed up healing. You can also apply a mixture of one-half teaspoon of neem oil and one cup of aloe vera gel on the affected area once daily for a few days until the infection clears. The presence of antibiotic, antifungal and anti-inflammatory properties in onions help kill the fungus that causes jock itch. Put one medium-sized onion in a grinder to make a paste. Apply the paste on the infected skin. Allow it to sit for half an hour. Rinse with lukewarm water and dry the area well with a blow dryer. Follow this remedy once daily until your condition improves. Also, use onion in your cooking or add onion slices in your salad to help speed up the healing process. Listerine can also be used in the treatment of tinea cruris. While its antiseptic properties will relieve soreness and inflammation, the alcohol present in it will kill the fungus that causes this infection. You may experience pain when you initially try this remedy, but it quickly passes. 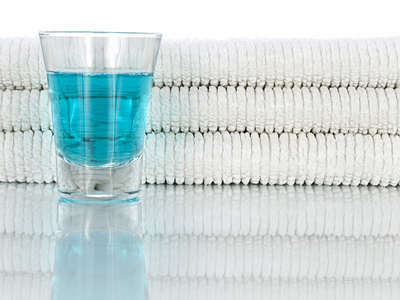 Pour a small amount of Listerine in a bowl. Soak a cotton ball in it and apply it on the affected skin. Repeat this process three times a day for a few months for complete relief. Coconut oil works as an effective remedy for tinea cruris. This oil has antifungal as well as antimicrobial properties that help kill the fungus that causes the infection. Apply pure coconut oil topically on the affected area three or four times a day until you notice improvement. Alternatively, mix one tablespoon of coconut oil and four or five drops of oregano oil. Apply this mixture to the affected skin. Do this two or three times a day until your skin improves. Also, use extra-virgin coconut oil in your cooking to speed up the healing process. Start with one teaspoon of coconut oil and then gradually increase the dosage to up to three tablespoons daily. Baking soda is another effective home remedy for tinea cruris. Baking soda helps reduce moisture in the infected areas, eliminating one of the things fungi need to thrive. Plus, it will help neutralize the skin’s pH level, which is essential for faster recovery. Add one cup of baking soda and two cups of Epsom salt to your bathtub filled with lukewarm water. Stir it in thoroughly. Soak in the bathtub for at least half an hour. Then take a shower and wash the affected area with an antibacterial soap. Rinse the infected area with cold water. Use a blow dryer to dry the infected area and then rub some coconut oil on it. Follow this remedy three times a week for several weeks to prevent the fungus from spreading. 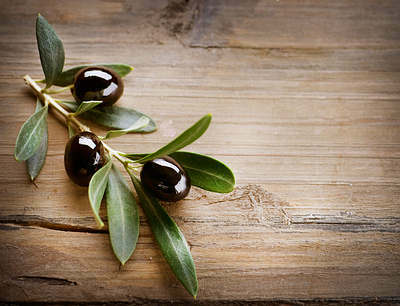 Olive leaf has been proven to be an excellent herb in the fight against many skin infections including jock itch. It contains antifungal as well as antimicrobial properties that help kill the fungus that causes tinea cruris. Grind three to four olive leaves into a paste. Using cotton balls, apply the paste directly on the affected area. Rinse the area with lukewarm water and then pat dry thoroughly. These home remedies will facilitate as well as speed up the healing process. 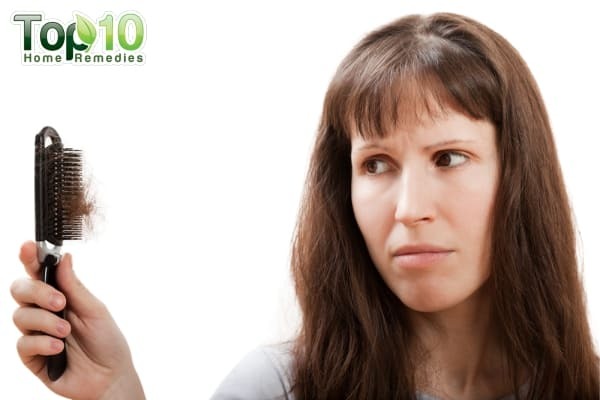 Along with these remedies, you need to give extra attention to personal hygiene. Try to keep the infected area clean and dry and avoid wearing tight undergarments. 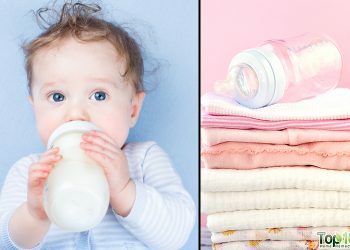 Plus, avoid sharing personal items like towels or clothing as it can cause the infection to spread quite easily. Just to add to this dont stop using it after four days. Keep using it until you’re completely sure the infection is gone. Once the rash goes away I recommend to keep applying it once a day after a shower for at least a couple of weeks, but my god coconut oil make your skin feel so good I might keep it up forever (it smells amazing too). Tea tree oil from Superdrug as well as Holland and Barrett, it’s more cheaper in Superdrug at £2.99 i bought it for. Thank you ever so much! That really did it for me. I suppose you can use it on other fungal infections as well, like athlete’s foot. Hi John thanks for the info, I am trying this now and was lucky as i had coconut oil already and just went and bought tea tree oil from Superdrug. I was given Cloritamazole and later Trimovate which i stopped using. Coconut oil has to be used to dilute the tree tea oil as on it’s on it will cause the skin to react and it actually inflammed by groin. Where will we get tea tree oil. from where we will get tea tree oil. thursday plantation 100% pure tea tree oil is must or any pure tea tree oil is enough for it…. I am going to try this 100% tea tree oil and virgin coconut oil. ..
My quest : can I use normal coconut oil easily available in india? Yes me also. I have been to the doc 4 -5 times. I do not think she know’s what it is. I have spent quite a lot of money on useless things she recommended to me. I am disabled and sit in a wheelchair most of the day. So my crotch is a typical place to have it. I will definitely try some of the above recipes. Thank you to all who sent them in. TO JOHN’S RECIPE ABOVE: A great one I’m sure. I have the ingredients before me as I type, I have yet to use it as it has only been in the house an hour or so. I bought the Coconut Oil at GNC for about $1/oz. And they are having a sale of BUY ONE get the next item 50% off. So I bought their pricey Tea Oil normally $14/oz for $7 bringing in line with other stores. The reason I did not rocket to the bathroom tearing cloths off on the way to apply this is the received a gift last night. Finally, after a week of the worst bout I’ve ever had I am feeling promoted relieft, near normal. But it has been the worst and most stubborn and like you said I’ve thrown all kinds of creams. 1% hydrocortisone / 40% zinc oxide (Desitin) / anti-itch creams and all of them at times at the same time. Finally late yesterday afternoon I read an article about this fungi and found I had something in the house I use in other applications. All this week I have used the Desitin type product and had talc with zinc oxide 15% which I used liberally. Actually sometimes I think that thick Desitin type stuff dried so much to eliminate moisture it promoted chaffing. That’s why I think John’s rememdy of coconut oil is going to be a nice finish up. Reduce the chafe. But I continue …. stray bacteria). Put it in a small spray bottle and sprayed the heck out of the affected area and let it sit before using a blow dryer. I recommend against towel drying. It chaffes and can have bacteria in it. Blow dry, thoroughly!!! Every crevice. BUT .. before that I used a remedy I’d used before for lesser bouts. Cotton ball doused liberally with Hydrogen Peroxide, using many to drench the area. It stings a litte but not nearly as much as the affected area. Then I sprayed the ACV. 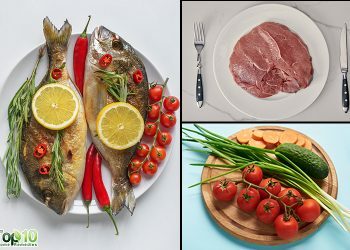 Here’s another thing that goes along with the “GARLIC” recommendation above, which most probably ignored. I had on hand “GARLIC SHAMPOO” … yes! This shampoo advertises that germs and bacteria hate garlic. A bell when off. I have garlic here! I am using this garlic shampoo to wash the “whole” effected area, liberally. One more thing I haven’t mentioned. I also took EPSON SALTS BATHS and always felt better after them. Hard for this big body to get in the small tub the folks purchased years ago but you do what you have to do. 3 cups of Epson Salts and soak at least a half hour. Now,today for the first in about 6 days I went out, and I feel no worse after going in many stores to compare prices on coconut and tea tree. I am going to apply John’s remedy an look forward to more comfort and healing. I think where we all have to take care is not to drop off the good habits just because we think it’s gone. I think I read somewhere the fungi can come back with a vengence. I don’t want that!!!! thought, I put the mixture in the freeze for a minute to get it back to a paste. out of your mind at this stage. Oh my god. I tried every creams to no avail. I was in the Philippines and has been suffering for this terrible itchy croutch for over 6 months. The are good they gave me some tablets to take. Later on when I am back in the UK 3 months later it came back again!’ I tried.the turbufeline cream not healing. I have tried surgical solutions followed by Epsom salt and lemon juice. It is painful. I am now on tee trea oil first application today undiluted. The itchiness went away. Wish me luck! Best remedy for Jock’s Itch, as I discovered by my own experience, is applying a paste of turmeric mixed with Listerine. Just clean the affected area and apply it. This one works, I assure you. This is better than those hyped-up anti-fungal creams, which bring just 20 p.c. relief, before resurfacing the next day. These are also a waste of your money. On the other hand, this paste of turmeric and Listerine is at least 60-70 p.c. more effective and the relief continues on to the next day. Take your bath and then apply this over the infected area. Your Jock’s Itch will die in a few days. Good Luck.